– Former Olympic 10,000 bronze medalist and British running great Brendan Foster talking about the current debate in the UK over men and women running different distances in XC. What is the longest run you did in preparation for a marathon? 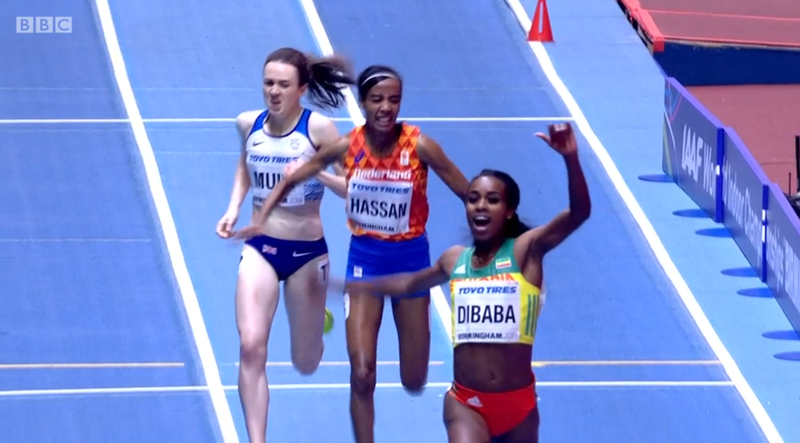 LRC Should Sifan Hassan Have Been DQed For Veering Out And Obstructing Laura Muir? In our minds, the IAAF rule book needs to be reworded as a DQ is very harsh. We’d prefer to have seen Hassan moved back to third for fouling Muir. *MB: Should Sifan Hassan be DQd? LRC Danil Lysenko & Maria Lasitskene Claim High Jump Titles On Opening Night At World Indoors Lysenko’s win streak continued while Mutaz Essa Barshim, who hadn’t lost at all in 2018, was upset. The High Jump Takes Center Stage On Opening Day Of World Indoors Two years ago in Portland it was just the pole vault on the opening day and this time it’s the high jump (plus the women’s 3k). GB Hurdler Andrew Pozzi Wants To Win A World Indoor Medal To Make Up For Lost Time The 25-year-old Euro indoor champ hasn’t won many medals due to years of injury struggles. 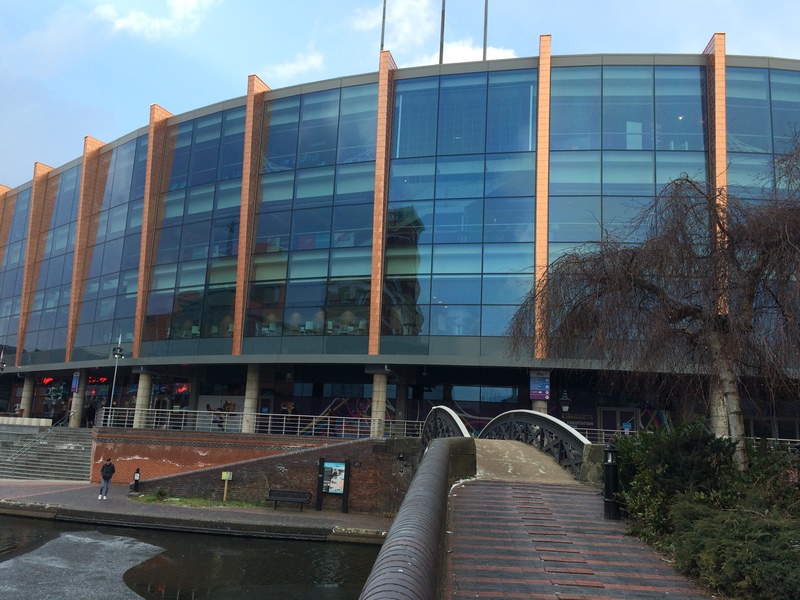 Athletics Weekly: Andrew Pozzi Is Back In Birmingham With A Medal In Mind Pozzi watched his first-ever track meet in Birmingham 15 years ago when he was 10 years old. Former Two-Time World Hurdle Champ Colin Jackson Picks His Six Events To Watch At World Indoors The men’s and women’s 1,500 makes his list. World Javelin Champ Johannes Vetter Sets 91.22 World Lead In South Africa Elsewhere, former World 400H champ Dai Greene ran 49.49, his fastest time since 2013. Q&A With Throwing Queen Valerie Adams Reflecting On Her Four Consecutive World Indoor Wins From 2008-2014 She says her favorite meet was 2012 World Indoors in Istanbul. Top Indian Javelin Thrower Fails Drug Test They don’t name the athlete, but it wouldn’t be hard to figure out with the info they give. The Deepest Pole Vault Competition Ever Went Down In The French City Of Clermont-Ferrand World champ Sam Kendricks won on countback over world record holder and meet organizer Renaud Lavillenie as both men cleared a world-leading 5.93m. A record seven men went over 5.88m, including Armand Duplantis, who set a new world Under-20 record in 5th place. Kenya’s Dickson Tuwei (2:08:18) And Morocco’s Kaoutar Boulaid (2:25:32) Win Sevilla Marathon Tuwei used a late burst of speed in the last 200m to beat Laban Kipkemboi by 2 seconds. Enyew Mekonnen And Enatnesh Almirew Win Ethiopian XC Titles Early in the race world 5,000m champion Muktar Edris had a 50m lead, but had already started fading when he was passed 3k into the 10k race. A Result We Missed Last Weekend: Yuki Kawauchi Wins Kitakyushu Marathon With 2:11:46 CR Both of Kawauchi’s younger brothers were in the race with Yoshiki Kawauchi finishing 3rd (2:22:44) and Koki Kawauchi 6th (2:30:05). IAAF Recap: Kenya’s Justus Kiplagat (7:39.09) Beats Out Paul Chelimo By .01 In Men’s 3k Other distance winners were Bethwell Birgen (1,500 – 3:37.76), Beatrice Chepkoech (1,500 – 4:02.21), and Adam Kszczot (1:47.15). Non-distance action was highlighted by Christina Manning beating out Sharika Nelvis in the 60H to win the IAAF World Indoor Tour series by a tie-breaker. 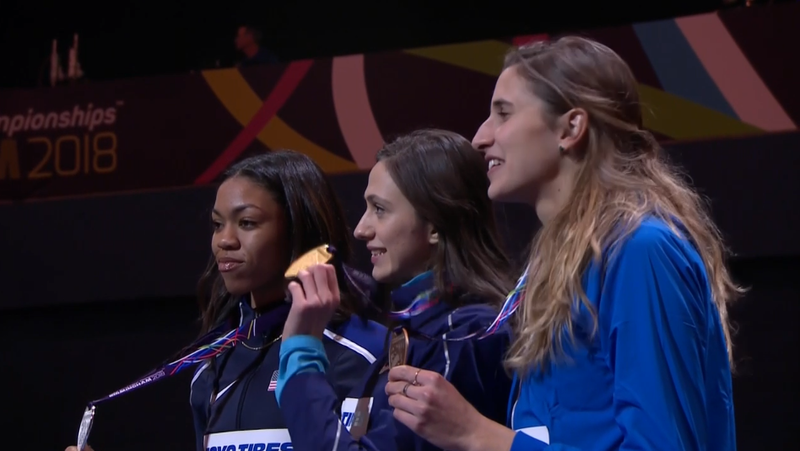 There was also a stacked women’s 60 where World 100m silver medalist Marie-Josee Ta Lou won in 7.07 over GB’s Diana Asher-Smith, double Olympic champ Elaine Thompson with Dafne Schippers in 5th. Ekaterini Stefanidi (PV) And Mariya Lasitskene (HJ) Extend Their Winning Streaks In Glasgow Stefanidi got her 19th consecutive win with a 4.75m stadium record while Russia’s Lasitskene made it 37 in a row with 1.95m. Zharnel Hughes Edges Yohan Blake In Jamaican 100 To Set 10.01 World Lead It was a PR for Hughes while 28-year-old Blake ran a SB of 10.05. Jesse Squire Examines Where The 2019 And 2020 NCAA Outdoor Championships Might Be Oregon is re-bidding for 2020, but Squire thinks 2019 will be at Drake Stadium in Des Moines although he also looks at Sacramento (Hornet Stadium), Philadelphia (Franklin Field), New York (Icahn Stadium) and several others. Ken Goe Speculates On Hayward Field Renovations Even though no official announcement has been made, he’s heard from “usually reliable sources” that the stadium will be completely torn down. It’s also been reported that the state of Oregon is only contributing $10 million of the $40 million organizers were hoping for. Oregon’s Three-TIme NCAA Champion Ariana Washington Still Doesn’t Have A Qualifying Standard For NCAA Indoors Washington is currently only ranked 57th in the 200 and 59th in the 60. Coach Robert Johnson says they’re “scratching their heads” over it as they don’t know why she’s not running up to her normal standards. Men’s Updated NCAA Rankings Leave Texas Tech And Florida As The Top 2 Arkansas moved up from 5th to 3rd. DI Athletes Of The Week Last Week Were South Dakota’s Chris Nilsen And Cincinnati’s Annette Echikunwoke Nilsen jumped 5.80m to put himself tied for 9th on the all-time NCAA list while Echikunwoke threw 24.78m to move to #2 all-time NCAA. 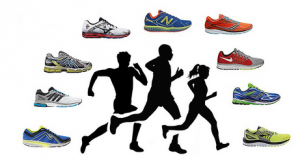 Deadline Extended LRC Running Warehouse $200,018 World Indoor Prediction Contest Get your picks in now. We’ll give you the consensus picks for the 3k and HJ if you enter tonight before Friday’s action. *Early Picks Percentages Of The LRC Nation You can be strategic and find out who the LRC nation is picking and then pick upsets in strategic places to maximize you chances of winning. Our Weekly Recap – Did You Know There Was A $266,650 1st Prize Handed Out Last Week? 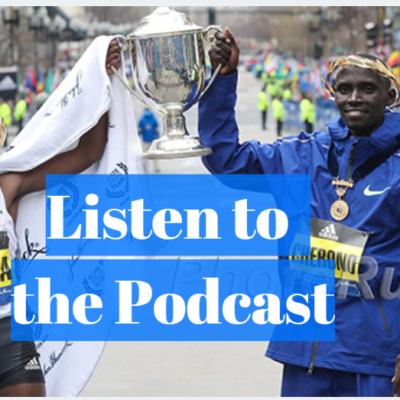 WTW Some Dude You’ve Never Heard Of Just Won $266,650 In A Half Marathon In Saudi Arabia, Incredible Japanese Men’s Marathoning, Another WR For Kyle Merber, Freshmen Sydney McLaughlin And Lynna Irby Put On A Show At SECs Our weekly recap spans the spectrum, from the Japanese showing the American men how to run the marathon, to another WR for Kyle Merber, to freshman Sydney McLaughlin running a world-leading 50.52 400m and possibly not having as good a weekend as another freshman – Lynna Irby of Georgia. 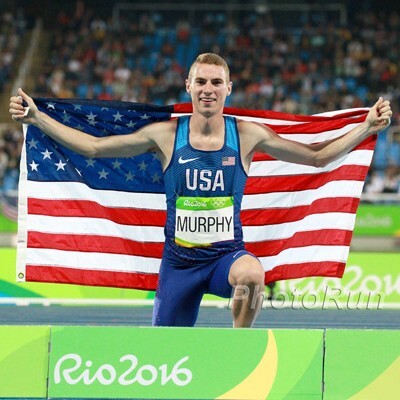 Discuss: What collegiate athletes had their dreams become reality this past weekend? Before We Found Out It Was A Joke, The Independent Asked If We Should Even Care About Usain Bolt Signing With A Soccer Team? Fans of whatever club he joined might actually have been annoyed. Nigerian Sprinter Disappears From Commonwealth Games Camp In Australia 400 sprinter Bamidele Emmanuel disappeared and there are rumors that he is trying to run for another country (which he can’t since the IAAF have froze all transfer of allegiances). How Much Is Usain Bolt Worth And Where Does Most Of His Money Come From? Gatorade gives him over 3 million a year plus a bonus every time he’s pictured drinking it. March 18: Blockbuster Fields Set For 2018 NYC Half Marathon: 2016 Champion Stephen Sambu Faces Dathan Ritzenhein, Wilson Chebet (59:15), Chris Derrick, Abdi Abdirahman, Shadrack Biwott The women’s race has last year’s runner-up Emily Sisson, Vivian Cheruiyot, Desi Linden, Mamitu Daska (66:28), Buze Diriba (66:50), Betsy Saina, Aliphine Tuliamuk and Allie Kieffer. Schedule For 2018 Outdoor Championships Released The meet is from June 6th through June 9th with men and women on alternating days. Brooks Announces New Date For Brooks PR Invy In Seattle The meet is June 8th, on the 3rd day of NCAAs. Tokyo 2020 Unveils Olympic Mascots The choice was made following a vote where students from 16,769 schools were allowed to choose one of three mascot pairings from an initial 2,042 entries. Georgia Moves From 3rd As Conference Weekend Shakes Up Latest NCAA Rankings Arkansas and Kentucky are 2-3 while LSU moved up from 6th to 4th. No Changes To The Top 5 Teams In Updated Men’s NCAA Rankings Texas Tech, Florida and Arkansas still sit 1-3. Sydney McLaughlin And NC State Thrower Josh Davis Are NCAA Athletes Of The Week McLaughlin obviously for her world junior 400 record while Davis set the collegiate weight record at 23.83m to win ACC Champs. LRC Dickson Chumba & Birhane Dibaba Win, Amy Cragg Runs US #5 A-T 2:21:42, & Yuta Shitara Runs 2:06:11 To Set Japanese Record And Win $936,000 The Japanese Corporate Track and Field Federation’s “Project Exceed” was offering 100 million yen ($936,000) to any man who could break the 2:06:16 national record. Shitara did it with a legendary run, mowing down the field after he was dropped at 32k. Japan Running News Recap: “The Greatest Day In Japanese Men’s Marathoning History” Nine Japanese men under 2:10 and another four under 2:11. 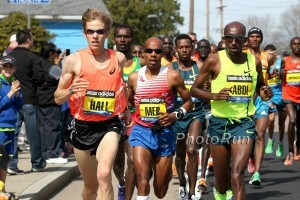 MB: Confirmed: Wilson Kipsang dropped out due to a stomach ailment. Sydney McLaughlin Wins With A World Junior Record 50.52 The Kentucky freshman also established a new SEC and collegiate freshman record, although she almost lost all of that as Georgia freshman and U20 World champ Lynna Irby finished just 0.1 back. Alabama Men Win Their First SEC Title Since 1972 It was a super tight meet as Alabama just beat out Arkansas by 3 points with Florida another 4.5 points back. Distance action included Arkansas winning the DMR (9:37.01) over Ole Miss (9:37.08) and Kentucky’s Jacob Thomson taking the 5,000 (13:49.50) in a close race with two Alabama runners. Arkansas Women Win 12th Straight SEC Title Arkansas Nikki Hiltz won the mile in 4:37.37; Texas Tech’s Sammy Watson won the 800 (2:04.25). Karissa Schweizer Sets SEC 3,000 Record With 9:00.56 Dominant Victory She broke the previous record of 9:10.48 by Cory McGee from 2014. Reigning Outdoor Pole Vault Champ Olivia Gruver Clears 4.67m To Win SEC And Move To #2 All-Time NCAA Sydney McLaughlin lead the heats with 50.97 (#3 all-time U20). USTFCCCA Gives You Their Top Conference Champs Matchups The three events they are most looking forward to are the SEC women’s 60m, SEC women’s 400 and Big 12 men’s HJ. 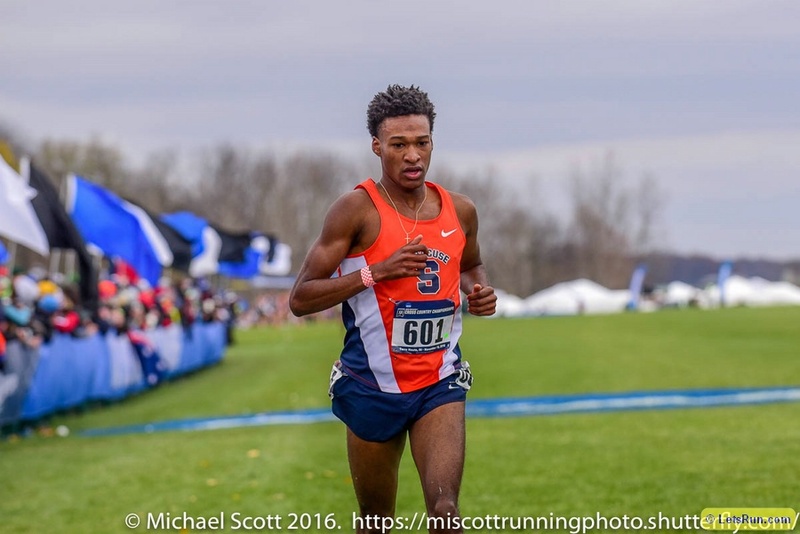 Saturday Recap: Justyn Knight Named Meet MVP After Winning The 3k/5k Double For The Third Consecutive Season Knight ran 8:02 to make it another Syracuse 1-2 as Aidan Tooker was 2nd (8:04). FSU Men and Women Sweep ACC Indoor Titles Virginia Tech men and women were both runner-ups, losing by just 4 points on the men’s side. Olympian Steven Solomon Blazes To An Australian, ACC And Duke Record Of 45.44 In The 400 Prelims It was the Stanford alum’s first 400 race as a Duke grad student. Friday Recap: Florida State Men And Louisville Women Lead The Team Standings Justyn Knight ran 13:50 to lead a Syracuse 1-2 in the 5,000 while Louisville’s Dorcas Wasike won the women’s race (16:34). Texas Women Secure Big 12 Title Less Than Two Weeks After Firing Of Head Coach Mario Sategna They beat runner-up Kansas by 5 points. Texas Men In First After Day 1 Their DMR squad dominated by 9 seconds with 9:40 to get their first conference win since 2009. Iowa State Women Lead Big 12 After Day 1 Their DMR ran 11:15 to win their first title since 2014. Iowa’s Andrew Jordan and Edwin Kurgat also went 1-2 in the men’s 5K. AP: Documents Show That Texas Coach Mario Sategna Was Fired “Without Cause” Sategna had been with Texas for 15 years and helped them to multiple Big 12 conference titles. 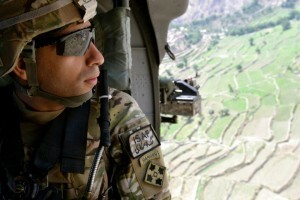 By firing him without cause, Texas owed him about $220,000. 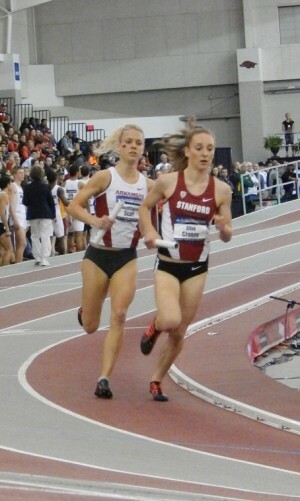 Stanford Gets A Slew Of Distance Wins As Elise Cranny Breaks The School Mile Record With A 4:31.29 Victory Freshman Fiona O’Keeffe ran 9:04 to win the 3k and Olivia Baker took the 800 in 2:04.31 and also anchored the winning 4 x 400. USC Men And Women Sweep MPSF Champs Neither competition was even close as both USC teams won by over 20 points. Register-Guard: Oregon’s Cardama Baez Runs 15:55 To Win 5,000 Title In A Close Race With BYU’s Laura Young BYU’s Connor McMillan won the men’s race handily in 13:46. Multi-time NCAA champ Ariana Washington‘s season is over as she didn’t make the 60m final and doesn’t have an NCAA qualifying time. DMR wins went to the UCLA men (9:46) and Washington women (11:07). Good Read: Runner’s World: Love An Underdog? Oregon Has One To Root For In Walk-On Mick Stanovsek At not many schools can you be considered an underdog with a 4:10 high school PR, yet Stanovsek didn’t make the team his freshman year, but now has a 3:57 PR. Minnesota Women Get Convincing Big 10 Win Finishing 11.5 Points Ahead Of Purdue 2017 NCAA outdoor runner-up Isaiah Harris won the 800 (1:50.15) while both Wisconsin’s Oliver Hoare and Indiana’s Katherine Receveur completed successful 3k/5k doubles. Ohio State Men Win First Big 10 Indoor Since 1993 They got wins in the SP, LJ, PV, 200, and 4 x 400 to beat Nebraska by 8 points. Wisconsin Women Sit On Top After First Day Of Big Ten Champs Michigan’s women’s DMR ran 11:04.77 to miss a top-12 NCAA qualifying spot by only 1.67 seconds while the Iowa men ran 9:45.10 to just beat out Indiana (9:45.34). 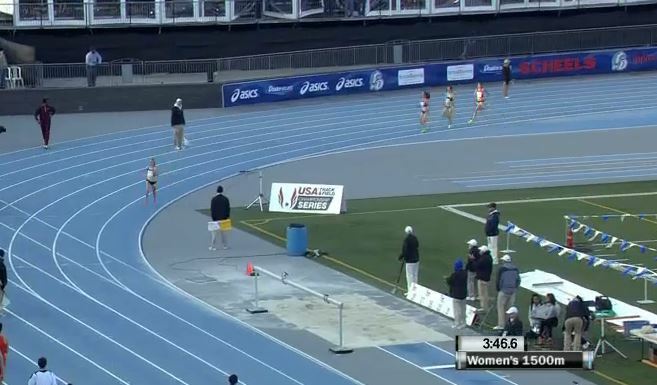 3K wins went to Wisconsin’s Oliver Hoare (8:11), Indiana’s Katherine Receveur (9:11). NCAA Mile Champ Josh Kerr Anchors New Mexico To A 9:33.41 DMR Victory At Mountain West Champs Utah State was a close runner-up in 9:34.61. According to USTFCCCA, converting for altitude, New Mexico’s time is 9:24.73, which tops the descending order list. Boise State ran 11:05.39 to win the women’s DMR over the Ednah Kurgat-led New Mexico (11:07.88). Princeton Dominates HEPS By Widest Margin Ever They scored 169 points to beat runner-up Penn by 67 points. Cornell was 5th, the first time since 2002 they finished outside the top 2. UPenn Women Win First Ivy Indoor Title For 22 Years They had a comfortable 32-point win over Harvard. Three Women’s Teams Within Four Points Of Each Other After Heps Day 1 Penn leads with Harvard, Dartmouth and Princeton close behind. Princeton Men Lead After Day 1 Of Heps They have a 30-point lead on Brown in second. Villanova Sweeps Men’s And Women’s Big East Titles Marquette was a close 2nd for both men and women. America East: MB: Unbelievable!! Albany Loses Conference Championship due to EPIC DQ!! The Guardian Has New Opinion Piece On Caster Semenya: “The Unequal Battle: Privilege, Genes, Gender And Power” The author tries to tackle the Semenya debate from political point of view, making it about women’s rights, racism and income inequality when it really should just be about the science. GB 800 Runner Lynsey Sharp Blogs About Being “Emotionally Drained” Due To Endless Traveling And Boyfriend Andrew Butchart’s Fractured Foot Sharp says it was strange that Butchart “dealt with [the injury] better than” she did. Naming Of Australian Commonwealth Team Delayed Due To Seven Appeals Over Non-Selection Olympian Jeff Riseley is appealing after he finished 3rd in the 800, but an athlete in the “B” final ran faster and gained selection. A “B” final in an 800? How about just adding an extra round? Schedule Announced For The 2018 Bring Back The Mile Grand Prix Tour They have five road miles planned for 2018 starting with the Grand Blue Mile in Des Moines on April 24. Athletics Weekly Preview: English, Scottish And Welsh National Cross-Country Championships Are This Weekend Dewi Griffiths will be going for his 7th consecutive Welsh national XC title. 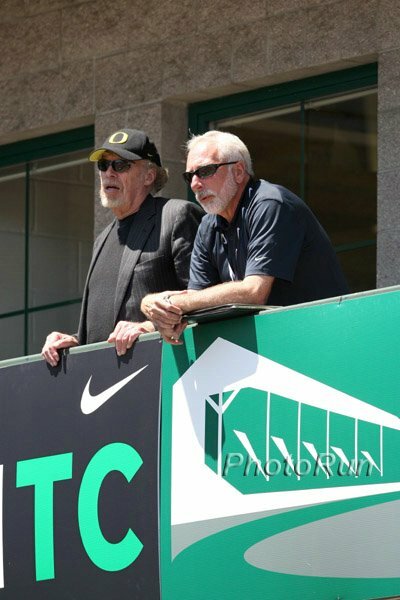 LRC Trying To Make Sense Of USATF’s Suspension Of Vin Lananna – Was This A Silent Coup? After reading USATF’s explanation for placing Vin Lananna on administrative leave, we were more confused than before we read it. So we try to make sense of it all. Register-Guard Article Apparently Lananna didn’t inform UO about the DOJ investigation either even though it is university policy, but a spokesperson said they didn’t consider the TrackTown contact with the DOJ a university matter. 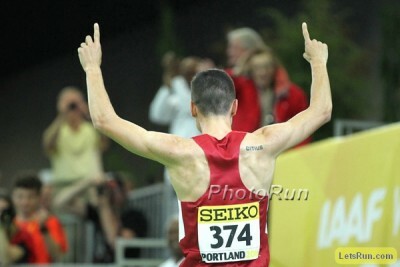 MB: Vin Lanana being placed on “Administrative Leave” by USATF board! LRC Pre-2018 Worlds Podcast We get you ready for the start of the action today and share with you inside info as to whom people are picking in our prediction contest. 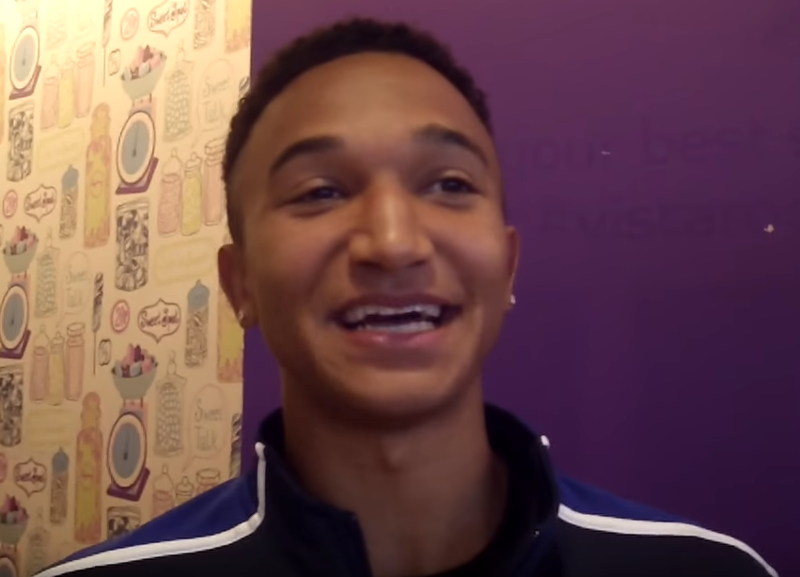 LRC Donavan Brazier – 20-Year-Old US 800 Star – Talks Before His First World Indoor Championships Brazier talks about his goals and what tactics he needs to take down the great Emmanuel Korir. LRC Boots Are On The Ground & The 4 Things We’re Most Excited About At 2018 World Indoors Our boots are on the ground in the UK and we give you 4 reasons as to why you must watch World Indoors. If you like World Records, incredible field event action and must-see distance battles, then you are going to really enjoy the 2018 Worlds. LRC 1,500m M Worlds Preview: With No Centro, Willis And Only 1 Kenyan, This Race Is There For The Taking Might the world be meeting a new 18-year-old star from Ethiopia by the name of Samuel Tefera when it’s all said and done? LRC 800m W Preview: Can USA’s Ajee’ Wilson Get The Elusive Gold Medal? Or Does Niyonsaba Keep Rolling? How does Raevyn Rogers do? Does Niyonsaba stay undefeated lifetime indoors? LRC 2018 World Indoors M 800 Preview: Brazier! Korir! Kszczot! Oh Baby, This Is Going To Be Good We can’t wait for the men’s 800 as it features two of the sports brightest mid-d talents in Donavan Brazier and Emmanuel Korir. 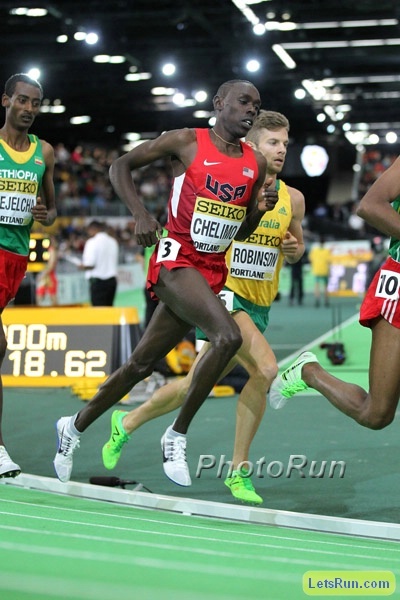 LRC 2018 World Indoors M 3K Preview: Paul Chelimo Goes For His First Global Gold Against A Trio Of Ethiopian Studs Chelimo has he hands full as Ethiopia has three entrants and they are all very good. 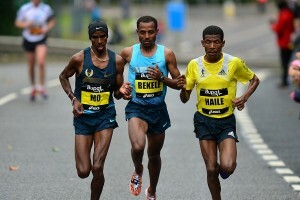 Could 18-year-old Selemon Barega be the successor to Haile G and Kenenisa B? World 800m Champ Pierre-Ambroise Bosse Charged With “Intentional Violence With Use Or Threat Of A Weapon” After The Brawl That Left Him Injured Last Year Bosse sustained multiple facial fractures in what he described as “a violent assault,” but the suspect claimed Bosse threw a beer bottle at his face. Oregon Men Only Qualified Distance Runners For NCAA Indoors They’ll send five individuals and a DMR. The Telegraph Writes That “Cross-Country Is The New Battleground As Women Step Up Bid For Equality” We agree women should run the same distance, but we disagree that this is a sexist issue. It may have been in the ’70s, but today women run shorter because of tradition and/or because they want to, not because anyone thinks they can’t handle an extra kilometer or two. Runners Are Literally Begging For Entries To The Cherry Blossom Ten Mile The race has a message board where those who missed the lottery registration can get a big transfer from someone who can no longer race. Aussie Jeff Riseley Loses His Appeal Over Commonwealth Games 800 Selection Riseley was 3rd at the Aussie Trials, but a 19-year-old in the “B final” ran faster and was selected instead. Jon Olson And Traci Falbo Claim USATF 100 Mile Road Championships Titles Olson won in 13:39:32 (8:11 pace) and Falbo ran 17:03:15 (10:14 pace). Ethiopia’s Selemon Barega Eagerly Anticipating World Indoors After Running His First Indoor Race Last Month Barega was intimidated by his first indoor track, saying not knowing how he’d be able to run on the banked surface, but did just fine with a world-leading 7:36 victory in the 3,000. Greg Rutherford Pulls Out Of World Indoors Due To Lack Of Fitness Rutherford only got to enter in the first place because the host nation gets an automatic entry if they don’t have anyone qualified for an event. Jamaican Olympic Hurdles Champ Omar McLeod Will Not Get To Defend His World Indoor 60H Title Due To Visa Issues It’s unclear what happened as McLeod’s manager blamed the JAAA for not procuring necessary paperwork, but the JAAA denied it was their fault. IAAF World Indoor Tour Winners Secure Wild Cards For Birmingham 2018 Team USA got one wild card from Christina Manning in the 60H. IAAF World Indoor Statistics Handbook It includes info like past world indoors results, medals tables, and other stats. Recommended Read: Edward Cheserek Faced Tough Times This Past Summer Dealing With The Grief Of Suddenly Losing His 18-Year-Old Sister That, along with injuries, made for a difficult post-collegiate transition, but as Cheserek explains, moving to Flagstaff and a six-week block with 100+ mile weeks got him in great shape for the winter. Guardian Writer Explains Why Money Is The Reason You Don’t See More Kenyans Running Ultramarathons Prize money is the main motivator for most Kenyans and there isn’t as much available in the ultra world. So the reason fast Kenyans don’t do it is pretty much the same for any sub-2:10 marathoner. They can make more money on the roads. Sad News: Kenyan Distance Runner Francis Kiplagat Dies In Car Accident In Nairobi The accident involving two cars claimed six lives, but former African 5,000 silver medalist Vincent Yator was not one of them as he has been discharged from the hospital and is recovering at home. LRC Hoka NJ*NY TC Breaks 4 X 800 World Record As 3 Teams Run Under Old Record, Josh Hoey (1:47.67) Crushes 800 High School National Record, Emily Sisson (15:13) 5k World Leader, Japanese Mile Record, 1st Sub-4 By A DIII Guy This meet had it all, including only a few hundred fans for a race where three teams broke the 4 x 800 world record and featured an anchor leg by Olympic 1,500 champion Matthew Centrowitz (who got the baton in the lead and couldn’t maintain it). 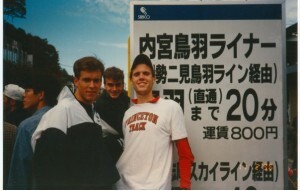 Boston Univ Last Chance Meet on PEDs. 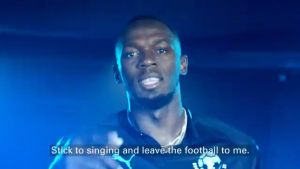 Usain Bolt And Soccer: Publicity Stunt Or For Real? Recommended Read: Photographer Tony Duffy Explains How His Photo Of Bob Beamon’s World Record Long Jump In 1968 Changed His Life Duffy was at the Olympics as a spectator, but dabbled in photography as a hobby and snuck down to the first row to take the now iconic picture. The attention it got motivated him to quit his accounting job and start his own photo agency (which he later sold to Getty for $29.4 million). RR #2: World And Olympic Pole Vault Silver Medalist Sandi Morris Talks About The Highs And Lows Of Her Career Morris lows came at the start of her college career and her favorite high when she won an NCAA indoor title in her final year in 2015. Stacked Pole Vault Field Set For All Star Perche Meet In France On Sunday Renaud Lavillenie, Sam Kendricks, Piotr Lisek, Shawn Barber and more. Recent upset surprise US champ Katie Nageotte will also be in action. LetsThrow: Valerie Adams Making Her Return To Competition At The Big Shot Meet In Christchurch On March 16th This will be her first meet since 2016 as she missed last year to have her first child.